Halloween, the scariest night of the year, is almost here. So what can a young trick or treater do? The Short Mountain Haunted Woods: Held at Short Mountain Distillery with proceeds benefiting Short Mountain Fire Department and the Cannon County Rescue Squad. Gates open at 6 p.m. with the screams starting at 7 p.m. Tickets are $7 with a dinner buffet available. Auburntown Asylum: The Asylum is open to visitors Friday night. Hours are 7 p.m. until midnight. Tickets are available online or at the site. The "haunting" is open to visitors age 11 and up. For readers who are familiar with Auburntown, the scare site is located in the former home of the old Shirt Factory at 776 Poplar Bluff Road East. Country Ham Breakfast: East Side Volunteer Fire Department will hold its famous, all-you-can-eat Country Ham Breakfast from 7 to 10 a.m. at Eastside School. Tickets are $7. For information call Chief Grady George Jr. at 615-849-6867. Eastide School is located at 5658 McMinnville Highway. Mr. Bond, the Science Guy, to present spooky science on Halloween day: 1 p.m. At Adams Memorial Library. The show will reveal the science behind thick, eerie fog and how to make the call of the screeching owl. Youngsters will also learn how to create bubbling potions and how to glow in the dark, perform amazing optical illusions and more. Kids make their own glow in the dark SLIME to keep. Spook-A-Rama: Join in the fun at 4 p.m. for the Dr. and Mrs. J.F. Adams Memorial Library and Cannon County Chamber of Commerce Spook-A-Rama! The Library staff and volunteers will be passing out treats to trick-or-treaters who brave enough to visit the Library on College Street. Veteran Spooks: American Legion Post 279 will have a tent set up in Commander Charlie Harrell's yard on the corner of College Street for the Halloween trick-or-treaters. Trick or Treating at Woodbury Health & Rehab: Some of the greatest treats in town are available from 5 to 7:30 p.m. at Woodbury Health. Wear your costumes! No pets allowed. Start you Halloween off right: Stop by the Woodbury Co-op Store at 400 McMinnville Highway. The store will be open until 8 p.m. Employees will be giving away free candy, hot chocolate and free coffee for adults. 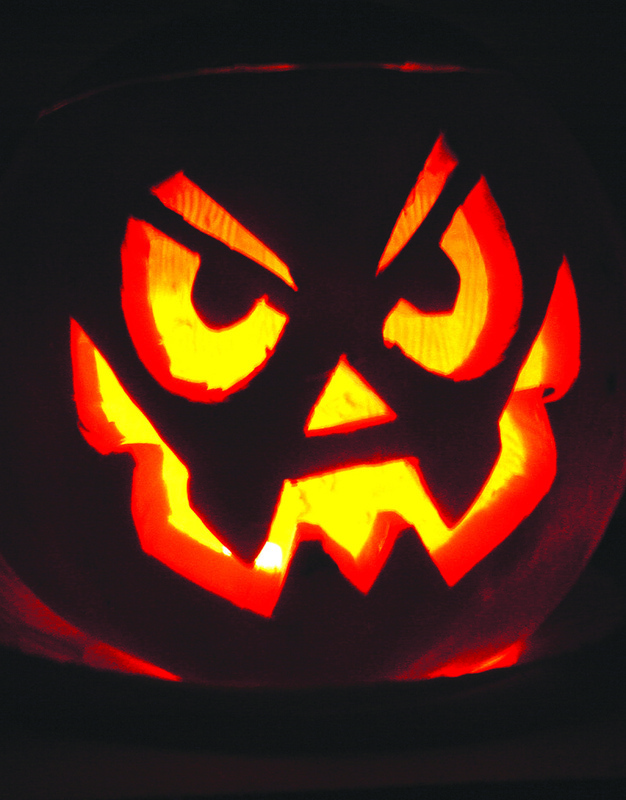 Trunk or Treat: Join Woodbury Church of Christ from 6 to 8 p.m. For a Family Fall Festival. It will be a night of fun, food, games and candy with costumes and more. All ages are welcome. REALITY Corn Maze: Try the Reality Maze for teens and adults and follow Gods word at Plainview Baptist Church. The maze takes an average time 25 minutes to complete. 0pen 6 till 10 p.m. Free entry and concessions. Activities will include a pallet maze (for the kiddies), face painting, concessions, and so much more! You won't want to miss what we've got planned! Plainview Baptist Church is located at 6088 Jim Cummings Highway, about 4 miles from Woodbury. Auburntown Asylum: The Asylum is open to visitors Halloween night. Hours are 7 p.m. until midnight. Tickets are available online or at the site. The "haunting" is open to visitors age 11 and up. For readers who are familiar with Auburntown, the scare site is located in the former home of the old Shirt Factory at 776 Poplar Bluff Road East. The whole month culminates on Oct. 31st with a free, ADULT, 18+, Halloween Costume Dance Party hosted and DJed by drummer Jared Champion from the popular band, Cage The Elephant. Donations of pet food will be accepted Halloween Night to support The Cannon County Community For Animals. Mall-O-Ween: 3rd annual Mall-O-Ween at Stones River Mall Murfreesboro. Celebrate Mall-O-Ween at Stones River Mall from 12-2 p.m. Trick-or-Treat Stations will be set up throughout the mall and at participating retailers, while supplies last, for children age 12 and younger. Sign up your little ghouls and goblins for costume contests and enjoy a Monster Mash dance party in Center Court. Registration is at Noon with costume contests beginning at 1 p.m. Prizes will be awarded in three age categories: 0-3, 4-7, and 8-12. Admission is free. Stones River Mall requires that all children be supervised by an adult, and masks are only allowed to be worn during the event.